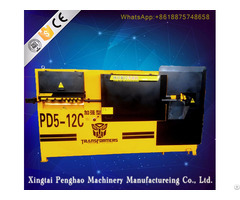 The use of pipe polishing machine: mainly used for hardware, electroplating, and vehicle accessories, metal or wood furniture, standard parts and other manufacturing industries. It is your best choice of polished tube, round stick, slender shaft and so on. Tube polishing machine can improve work efficiency, improve the surface finish, so that your work piece more on the grade. The main features of this machine: for different sizes of the work piece diameter polishing. The scope of application: electroplating, metal processing, gas spring rod, hydraulic fittings, brass rods, steel rods, stainless steel tubes, aluminum tubes, handicraft processing, furniture, trachea tube, vehicle parts and other cylindrical polishing industry.